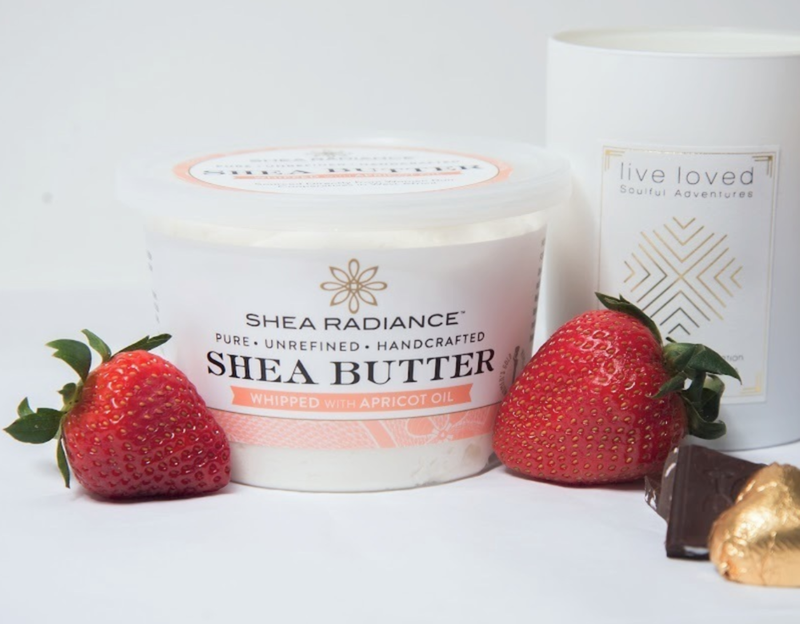 If you’re looking for something to soothe dry skin that’s almost symbolic of a harsh, cold winter, look no further than Shea Radiance’s Whipped Shea Butter. I first came across the product while scrolling through Instagram, and my interest was honestly piqued by the soft colors on the different tubs of shea butter — great reason to be interested in a product, I know. However, the preceding weeks had been freezing cold, like, we’re talking below zero temperatures, and my skin was more chapped than it had ever been. So, I did some investigating and saw that Shea Radiance’s shea butter had amazing reviews online. Some people swore by its stretch mark relieving powers, while others said it helped them with eczema. I was sold, and figured I’d give it a shot. So I ordered a 9.5 ounce tub of the apricot oil tub. It came to roughly $20, and yes, it was absolutely money well spent. So, what’s it like, you ask? Well to start, it’s whipped, unrefined shea butter. The texture is way different from any cream or lotion I’ve ever used — for obvious reasons. You have to really dig in to get a solid amount on your hands, but luckily, you don’t need to overdo it with this product. Also, it’s important to note that while this one in particular has apricot oil in it, it doesn’t smell like apricots. If you’re aiming for moisture, this is a solid choice. But if scent is what you want, it may be better to stick with something else. I slathered some on the first night I got it in the mail, and by the next morning I was already impressed. My skin almost felt like it had a layer of protection on it making it softer and smoother, and giving it a reprieve from the cold weather that had been damaging it for weeks. Every night I put it on, and my skin has felt transformed ever since. When using it, I’d recommend putting it on all over your body at night and sleeping in long sleeved shirts, socks and long pants to seal in the product. Aside from dry skin, I’ve also suffered from eczema on my scalp my entire life, so I tried just a little bit on my head. It helped a bit, but if I miss a day, my scalp feels more dry and itchy once more. So, if a reprieve from eczema is what you seek, make sure you’re committed to this product for daily use. Not only is this product a game changer for your skincare routine, but the cause behind it is powerful, too. Need we say more?